Fresh Start – Beauty Unboxed. 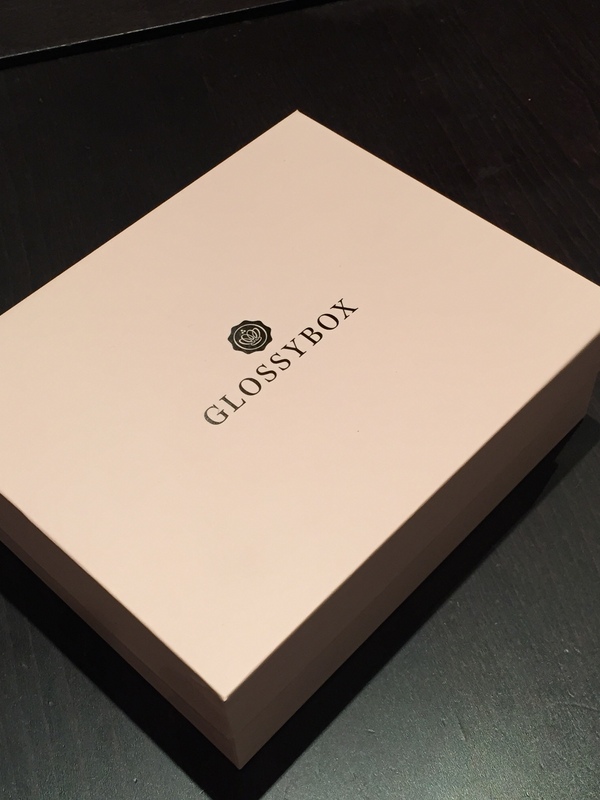 The January 2015 GlossyBox is here!! New Year, fresh start. That is exactly the message GlossyBox is telling us this month with a selection of 5 full sized items. I have subscribed to GlossyBox UK now for over 2 years and I have to say the past year has been hit or miss. Long gone were the continual boxes of excellence that myself and friends loved to shout out about, and were instead replaced with cheap high street brands and perfume virals that you could pick up for free from department stores. I decided that January would be the deciding month as to whether I would cancel my subscription and I have been pleasantly surprised. GlossyBox has finally redeemed itself! Hallelujah!! This month 5 full sized items are packaged in the staple concertinaed paper and wrapped together with a ribbon. The majority of the items are upcoming brands from Europe so I’m very excited to try them out. There is also the online user platform which provides make up tutorials, tips and the latest beauty news. 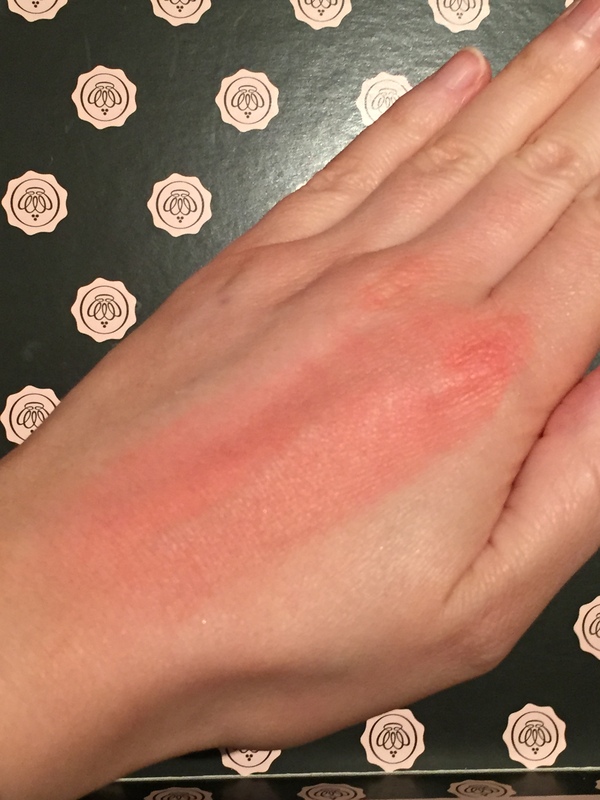 My favourite item in the box is the Nicka K New York Colourluxe Powder Blush (8.95EUR for 5g). 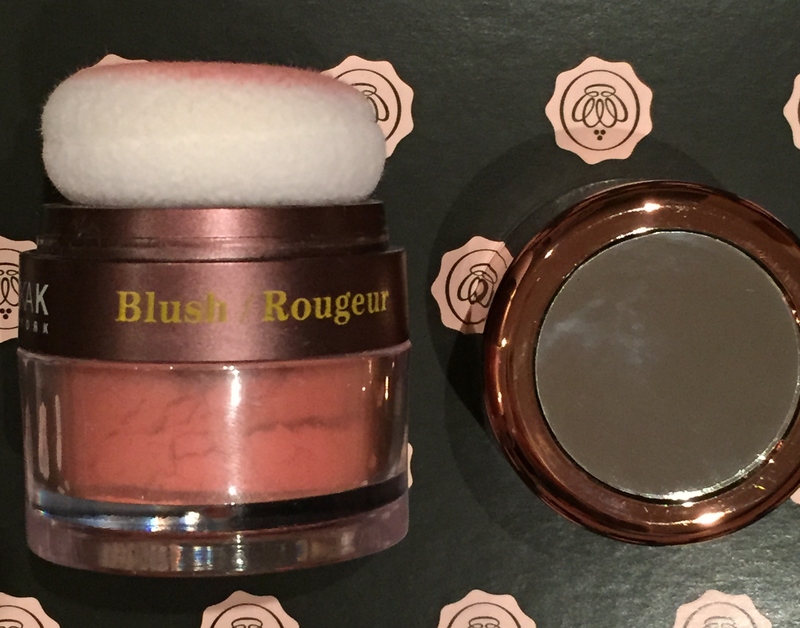 This clever loose powder blush is easily applied with the powder puff applicator and won’t cause a powder explosion in your make up bag. The colour is a peachy pink shade and can be gradually built up. I’ve put on quite a bit on my hand so that you can see the colour. The lid is also a mirror which is excellent for on the go top ups. The Kueshi Natural & Pleasant Cosmetics Revitalising Toner (10.70 EUR for 200ml) is designed to re-balance, freshen and rehydrate the skin. It contains a soothing blend of calendula, chamomile and aloe vera. 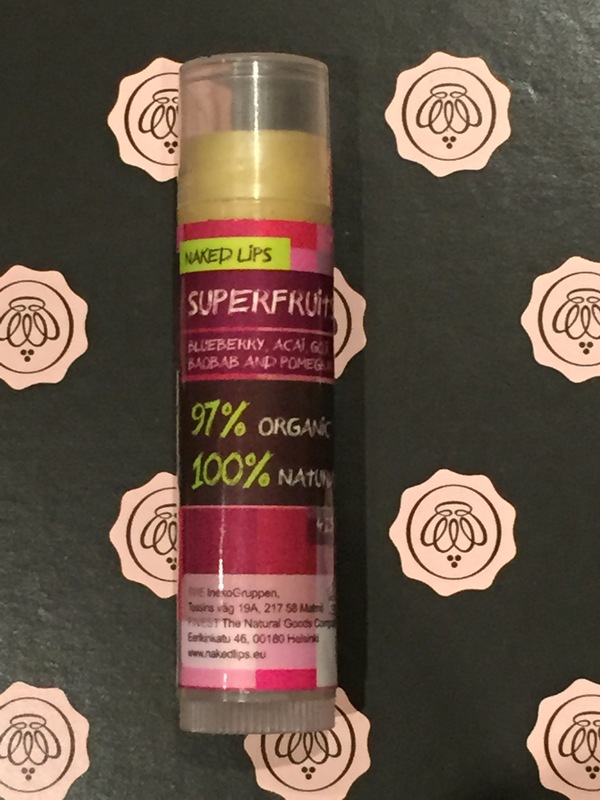 Another product from Europe, is the Naked Lips Organic Lip Balm Superfruits (5 EUR). This balm is clear so can be worn alone or over lip stick. It doesn’t have the usual waxy lip balmy taste but instead due to it’s 100% natural formula, it tastes pretty sweet. It’s packed full of oils from some of the world’s most anti-oxidant rich fruits and berries, such as blueberry, acai and goji, which leaves lips feeling nourished and with a subtle sheen. A brand known for it’s fun quirky products is Jelly Pong Pong. This All Over Glow (£10 for 15g) is a brightening gel which is packed with micronized pearlescent pigments that catch the light, highlighting the face for a radiant glow. With this product, a small amount goes a long way! 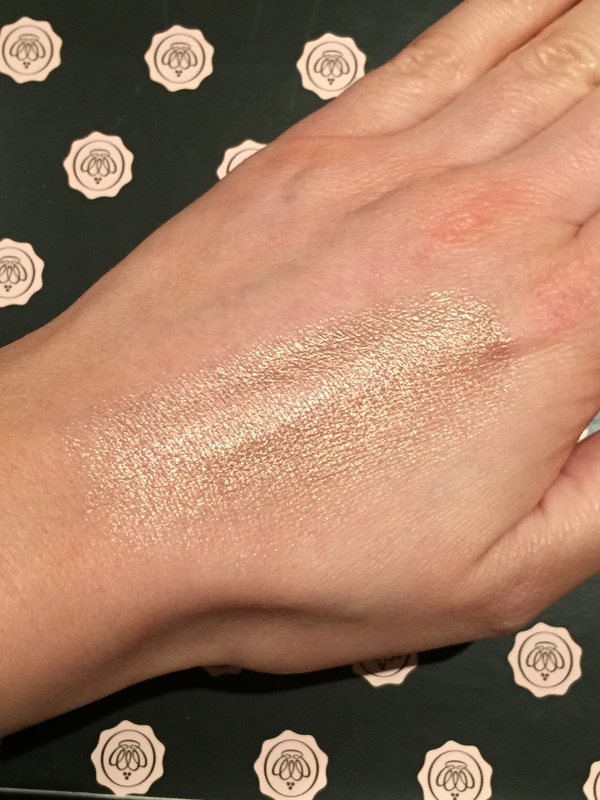 I used a tiny bit here on my hand which is very shimmery bronzing. I think it would actually be better as an eye shadow or a good leg highlighter in the summer. Or of course on tanned skin… however if you’re like me and very pale, this won’t be turning you into a bronzed goddess. Finally, the MeMeMe Eye Liner Pencil in Clay (£4). This British brand has created a long lasting extra soft pencil which will not pull the skin and is perfect for smudging, if required. This brown shade will perfectly suit all eye colours and is a great day to night staple item. 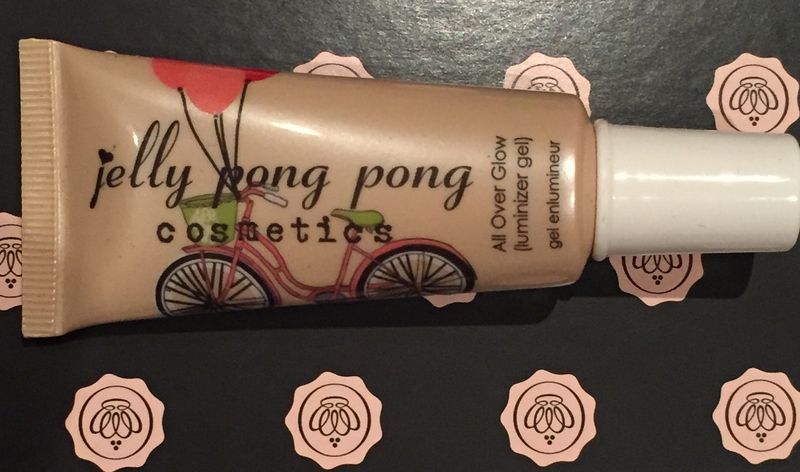 ← Hit Refresh – January 2015 Birchbox is here! !